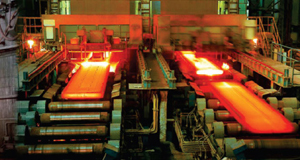 Rugged industrial design for use in harsh factory environments. Harsh environment enclosures are available from Proton Products on request. Proton Products InteliSENSTM SLM Series non-contact, unidirectional speed and length gauges provide extremely accurate speed and length measurements for metals industry applications. They are available with extended stand-off distances and greater depth-of-fields than the standard InteliSENSTM SL Series gauges, which allows them to be used to measure very high temperature objects such as in hot-rolling processes. InteliSENSTM SLM Series gauges are money-saving, direct replacements for traditional problematic and high-maintenance contact wheel and roller-type devices and are extremely easy to install and operate. Integration with production line controllers such as PLCs is eased by the availability of a wide variety of industry standard communications interfaces. 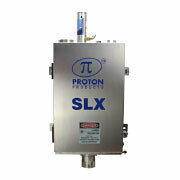 Proton Products InteliSENSTM SLM series speed and length gauges illuminate the measured surface with an interference pattern created by the intersection of two laser beams. The alternating bright and dark interference fringes modulate the light scattered by the object with a frequency proportional to the object speed. This scattered light is detected by a photodiode and the electrical signal digitally processed to determine the frequency and hence the speed. Object length is then calculated by integrating the speed measurement over time. Other stand-off distances are available on request..
Laser safety control inputs Laser External closed contact enables laser diode. Shutter External closed contact opens laser shutter. Proton Products offers the M Series range of harsh environment enclosures and accessories for SLM and SLRM Speed and Length gauges deployed in high temperature, dusty, steamy or smoky environments. Protects against high temperatures, light impact, liquid splash, dust, steam and smoke. Provides a unified electrical connector for electrical and communications connections. Provides ports for the gauge air wipe and water cooling. air-driven vortex cooler (00043MC039) for enhanced thermal shielding from hot metal objects. Connects to the unified electrical connector of the SLX-BOX (00041MC540) via a Cable SLH/X to BT100 (00041CX100). Provides DB9 connectors to access the “CAN”, “RS-232” and “PROFIBUS” ports. End user cables are sealed with four cable glands. Input voltage range: 90 - 260 VAC @ 45 - 65 Hz. 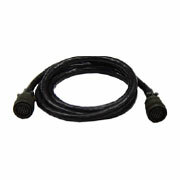 Cable for connecting the unified electrical connector of a SLX-BOX (00041MC540) enclosure to a BT-100 (00041MC350) power supply and break-out box. Provides filtered air which is dust, water and oil free. May be used to drive vortex coolers, air amplifiers and air wipes.